Looking for a used SUV in the Brandon area? Explore our pre-owned Volkswagen SUV inventory, at Reeves Volkswagen, with the agile Volkswagen Tiguan, the comfort-focused Volkswagen Touareg, and the Volkswagen 7 seater SUV–the VW Atlas. When you’re ready, visit us in Tampa for a test drive! Heated Seats, Bluetooth, CD Player, Keyless Start, Turbo Charged Engine, Aluminum Wheels, iPod/MP3 Input, Back-Up Camera. KEY FEATURES INCLUDE Heated Driver Seat, Back-Up Camera, Turbocharged, iPod/MP3 Input, Bluetooth, CD Player, Keyless Start, Heated Seats Rear Spoiler, MP3 Player, Aluminum Wheels, Keyless Entry, Child Safety Locks. EXCELLENT SAFETY FOR YOUR FAMILY Electronic Stability Control, Brake Assist, 4-Wheel ABS, Tire Pressure Monitoring System, 4-Wheel Disc Brakes WHY BUY FROM US Welcome to Reeves Import Motorcars, a family owned and operated business since 1971. On behalf of our staff, thank you for visiting us on the Web and giving us an opportunity to acquaint you with our dealership. Our commitment to perfection is exceeded only by our resolve to offer you the highest levels of guest services in the luxury automotive industry. Our professional and well trained staff is ready to assist you with your new or pre-owned automotive needs. While every reasonable effort is made to ensure the accuracy of this information, we are not responsible for any errors or omissions contained on these pages. All offers are mutually exclusive. All vehicles subject to prior sale. Please verify any informa Please confirm the accuracy of the included equipment by calling us prior to purchase. ONLY 18,355 Miles! Heated Seats, Bluetooth, CD Player, Keyless Start, iPod/MP3 Input, Alloy Wheels, ROADSIDE ASSISTANCE KIT, Back-Up Camera, Turbo Charged. KEY FEATURES INCLUDE Heated Driver Seat, Back-Up Camera, Turbocharged, iPod/MP3 Input, Bluetooth, CD Player, Keyless Start, Heated Seats. Rear Spoiler, MP3 Player, Aluminum Wheels, Keyless Entry, Child Safety Locks. OPTION PACKAGES ROADSIDE ASSISTANCE KIT booster cables, warning triangle, flashlight, multi-tool, work gloves, PVC tape, blanket, poncho, whistle, cable ties and bandages. Volkswagen S with NIGHT BLUE METALLIC exterior and BLACK LEATHERETTE interior features a 4 Cylinder Engine with 200 HP at 5100 RPM*. EXCELLENT SAFETY FOR YOUR FAMILY Electronic Stability Control, Brake Assist, 4-Wheel ABS, Tire Pressure Monitoring System, 4-Wheel Disc Brakes WHY BUY FROM US Welcome to Reeves Import Motorcars, a family owned and operated business since 1971. On behalf of our staff, thank you for visiting us on the Web and giving us an opportunity to acquaint you with our dealership. Our commitment to perfection is exceeded only by our resolve to offer you the highest levels of guest services in the luxury automotive industry. Our professional and well trained staff is ready to assist you with your new or pre-owned automotive needs. While every reasonable effort is made to ensure the accuracy of this information, we are not responsible for any errors or omissions contained on these pages. All offers are mutually exclusive. All vehicles subject to prior sale. Please verify any informa Horsepower calculations based on trim engine configuration. Please confirm the accuracy of the included equipment by calling us prior to purchase. Moonroof, Nav System, Heated Leather Seats, Back-Up Camera, Premium Sound System, Satellite Radio, Turbo Charged Engine, Aluminum Wheels, Panoramic Roof, All Wheel Drive. KEY FEATURES INCLUDE Leather Seats, Navigation, Panoramic Roof, Heated Driver Seat, Back-Up Camera, Turbocharged, Premium Sound System, Satellite Radio, iPod/MP3 Input, Keyless Start, Dual Zone A/C, Smart Device Integration, Cross-Traffic Alert, Heated Seats, Heated Leather Seats Rear Spoiler, MP3 Player, Sunroof, All Wheel Drive, Onboard Communications System. Volkswagen SEL with REFLEX SILVER exterior and BLACK LEATHER interior features a 4 Cylinder Engine with 200 HP at 5100 RPM*. EXCELLENT SAFETY FOR YOUR FAMILY Child Safety Locks, Electronic Stability Control, Brake Assist, 4-Wheel ABS, Tire Pressure Monitoring System, 4-Wheel Disc Brakes WHY BUY FROM US Welcome to Reeves Import Motorcars, a family owned and operated business since 1971. On behalf of our staff, thank you for visiting us on the Web and giving us an opportunity to acquaint you with our dealership. Our commitment to perfection is exceeded only by our resolve to offer you the highest levels of guest services in the luxury automotive industry. Our professional and well trained staff is ready to assist you with your new or pre-owned automotive needs. While every reasonable effort is made to ensure the accuracy of this information, we are not responsible for any errors or omissions contained on these pages. All offers are mutually exclusive. All vehicles subject to prior sale. Please verify any informa Horsepower calculations based on trim engine configuration. Please confirm the accuracy of the included equipment by calling us prior to purchase. Excellent Condition, LOW MILES - 39,965! Heated Leather Seats, Navigation, Back-Up Camera, Diesel, Premium Sound System, Power Liftgate, Turbo Charged, Aluminum Wheels, Panoramic Roof, 4x4. KEY FEATURES ON THIS VOLKSWAGEN TOUAREG INCLUDE KEY FEATURES ON THIS VOLKSWAGEN TOUAREG INCLUDE: Leather Seats, Navigation, Panoramic Roof, Power Liftgate, Heated Driver Seat, Back-Up Camera, Turbocharged, Diesel, Premium Sound System, Satellite Radio, iPod/MP3 Input, Bluetooth, Keyless Start, Dual Zone A/C, Heated Seats MP3 Player, 4x4, Aluminum Wheels, Keyless Entry, Remote Trunk Release. Volkswagen Exec with NIGHT BLUE METALLIC exterior and BLACK ANTHRACITE LEATHER interior features a V6 Cylinder Engine with 225 HP at 3500 RPM*. VOLKSWAGEN TOUAREG: BEST IN CLASS Enjoy the space in the Touareg since it has headroom to spare. It has more front headroom than the Lincoln MKZ, Lexus RX, and Cadillac SRX. - newcartestdrive. Great Gas Mileage: 28 MPG Hwy. BUY FROM AN AWARD WINNING DEALER Welcome to Reeves Import Motorcars, a family owned and operated business since 1971. On behalf of our staff, thank you for visiting us on the Web and giving us an opportunity to acquaint you with our dealership. Our commitment to perfection is exceeded only by our resolve to offer you the highest levels of guest services in the luxury automotive industry. Our professional and well trained staff is ready to assist you with your new or pre-owned automotive needs. While every reasonable effort is made to ensure the accuracy of this information, we are not responsible for any errors or omissions contained on these pages. All offers are mutually exclusive. All vehicles subject to prior sale. Please verify any informa Horsepower calculations based on trim engine configuration. Fuel economy calculations based on original manufacturer data for trim engine configuration. Please confirm the accuracy of the included equipment by calling us prior to purchase. ONLY 40,547 Miles! Heated Leather Seats, Navigation, Moonroof, Back-Up Camera, Power Liftgate, iPod/MP3 Input, Satellite Radio, Trailer Hitch, TRAILER HITCH EXTRAS, Aluminum Wheels, Panoramic Roof, All Wheel Drive. KEY FEATURES INCLUDE Leather Seats, Navigation, Panoramic Roof, Power Liftgate, Heated Driver Seat, Back-Up Camera, Satellite Radio, iPod/MP3 Input, Bluetooth, CD Player, Trailer Hitch, Keyless Start, Dual Zone A/C, Blind Spot Monitor, Hands-Free Liftgate. Rear Spoiler, MP3 Player, Sunroof, All Wheel Drive, Aluminum Wheels. OPTION PACKAGES TRAILER HITCH EXTRAS tow and ball mount and 7-pin adapter plug. Volkswagen Lux with PURE WHITE exterior and TERRACOTTA BROWN LEATHER interior features a V6 Cylinder Engine with 280 HP at 6200 RPM*. EXCELLENT SAFETY FOR YOUR FAMILY Child Safety Locks, Electronic Stability Control, Brake Assist, 4-Wheel ABS, Tire Pressure Monitoring System, 4-Wheel Disc Brakes VISIT US TODAY Welcome to Reeves Import Motorcars, a family owned and operated business since 1971. On behalf of our staff, thank you for visiting us on the Web and giving us an opportunity to acquaint you with our dealership. Our commitment to perfection is exceeded only by our resolve to offer you the highest levels of guest services in the luxury automotive industry. Our professional and well trained staff is ready to assist you with your new or pre-owned automotive needs. While every reasonable effort is made to ensure the accuracy of this information, we are not responsible for any errors or omissions contained on these pages. All offers are mutually exclusive. All vehicles subject to prior sale. Please verify any informa Horsepower calculations based on trim engine configuration. Please confirm the accuracy of the included equipment by calling us prior to purchase. GREAT MILES 31,718! Heated Seats, Nav System, Moonroof, CD Player, iPod/MP3 Input, Smart Device Integration, Keyless Start, Satellite Radio, Aluminum Wheels, ROADSIDE ASSISTANCE KIT, Turbo Charged Engine, Back-Up Camera, Panoramic Roof. KEY FEATURES INCLUDE Navigation, Panoramic Roof, Heated Driver Seat, Back-Up Camera, Turbocharged, Satellite Radio, iPod/MP3 Input, CD Player, Keyless Start, Smart Device Integration, Heated Seats. Rear Spoiler, MP3 Player, Sunroof, Onboard Communications System, Aluminum Wheels. OPTION PACKAGES ROADSIDE ASSISTANCE KIT booster cables, warning triangle, flashlight, multi-tool, work gloves, PVC tape, blanket, poncho, whistle, cable ties and bandages. Volkswagen SE with PEPPER GRAY exterior and BLACK LEATHERETTE interior features a 4 Cylinder Engine with 200 HP at 5100 RPM*. EXCELLENT SAFETY FOR YOUR FAMILY Child Safety Locks, Electronic Stability Control, Brake Assist, 4-Wheel ABS, Tire Pressure Monitoring System, 4-Wheel Disc Brakes WHO WE ARE Welcome to Reeves Import Motorcars, a family owned and operated business since 1971. On behalf of our staff, thank you for visiting us on the Web and giving us an opportunity to acquaint you with our dealership. Our commitment to perfection is exceeded only by our resolve to offer you the highest levels of guest services in the luxury automotive industry. Our professional and well trained staff is ready to assist you with your new or pre-owned automotive needs. While every reasonable effort is made to ensure the accuracy of this information, we are not responsible for any errors or omissions contained on these pages. All offers are mutually exclusive. All vehicles subject to prior sale. Please verify any informa Horsepower calculations based on trim engine configuration. Please confirm the accuracy of the included equipment by calling us prior to purchase. Why Buy a Used Volkswagen SUV? 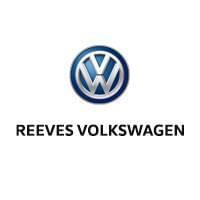 Learn more about the Volkswagen SUV lineup, check out Volkswagen Tiguan performance specs, or explore the 2018 Volkswagen Atlas interior in more detail at Reeves Volkswagen. When you are ready to schedule a test drive, contact us near Clearwater! Be sure to check out the differences between used vs. CPO.